Police have served a warrant at Sixfields Stadium this afternoon to secure documents relating to the loan from Northampton Borough Council to the Cobblers. 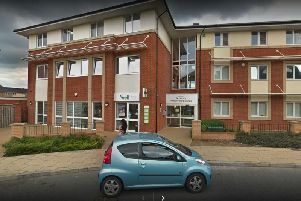 A statement from Northamptonshire Police said: “Northamptonshire Police can today confirm that we have received a formal complaint from Northampton Borough Council. “This relates to alleged financial irregularities surrounding the loan made by the council to Northampton Town Football Club. “In response, a team of officers this afternoon served a warrant at Sixfields Stadium in order to secure any documentation which may be relevant to the investigation. “The football club is being fully co-operative at this stage. An investigation by the Borough Council’s external auditors, KPMG LLP, is taking place and will continue in parallel to the police investigation. Councillor Mary Markham, leader of Northampton Borough Council, said: “We can confirm that after working with Northamptonshire Police for some time, we have now made a formal complaint about potential financial mismanagement of funds lent to to Northampton Town Football Club.